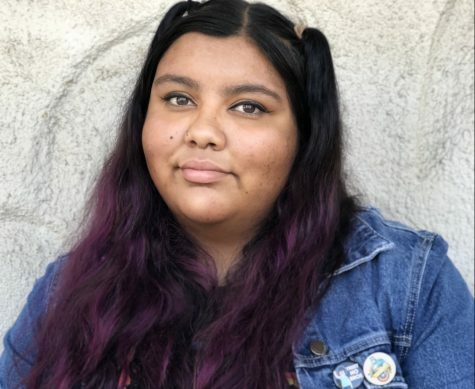 Yvonne Lara is a 17 year old senior at San Pasqual High School. She is a newly acquired staff writer for the Eagle Eye paper made possible by San Pasqual’s journalism department. Her favorite category to write for is sports. Lara was born and raised in Los Angeles and migrated to the city of Escondido at the age of 16. Sorrowful experiences has scarred Lara but has also paved the way for her resilience and ability to overcome physical and emotional hardships thrown her way. A social butterfly, a honest person, and humorous are just some attributes associated with Lara. In her downtime, Lara is an avid sleeper, super heroes movie fanatic, and a free willed video gamer. Her post high school dreams entail majoring in English, eventually leading her down the line with a career as a publishing copy-editor/proofreader.